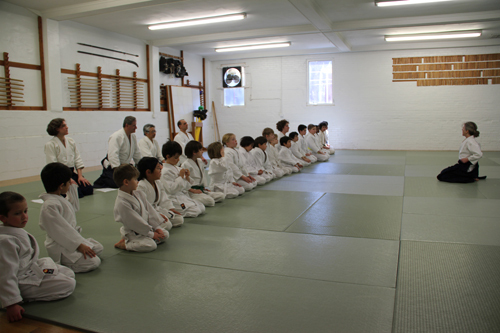 On June 7, more than 60 children and young adults from across the Mid-West gathered at the tastefully renovated dojo in Urbana Illinois for a full day of Aikido instruction and “games” to sharpen their skills, deepen their understanding of “the Way of harmonious spirit,” and to forge new friendships with their peers. Two dojos with robust children’s programs, Fairfield (Iowa) Aikikai and Central Illinois Aikikai (CIA), the hosting organization, worked together to offer four Aikido sessions on Saturday. 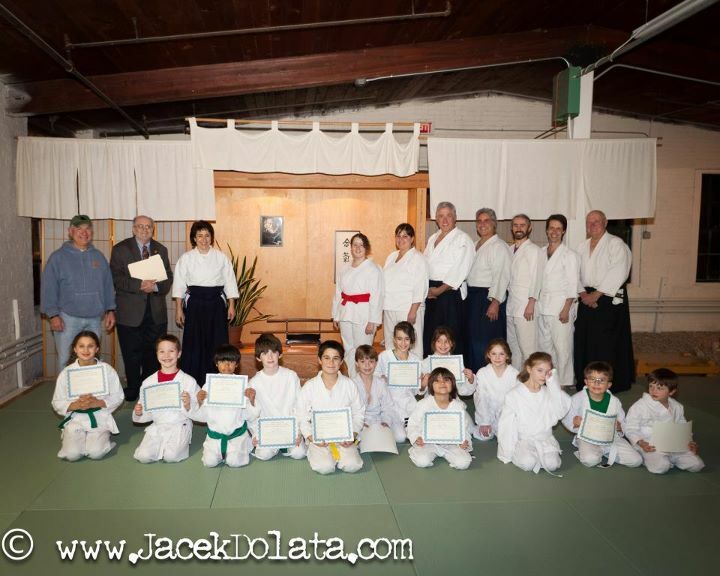 Lessons were offered by Julio Soares, Bogdan Heretoiu, CIA’s chief instructor Knut Bauer, 5h Dan, Shidoin, and Fairfield Iowa Aikikai’s chief instructor, Sensei Motier Haskins, 5th Don, Shidoin. 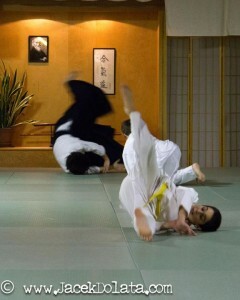 The seminars consecutively increased in skill level concluding with break fall practice and group photos. A few older “children at heart” adults joined in as well and were reportedly very busy just keeping up with the younger crowd! 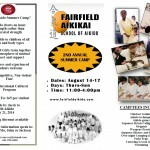 Everyone also enjoyed a pizza lunch break hosted by the Central Illinois Aikikai. 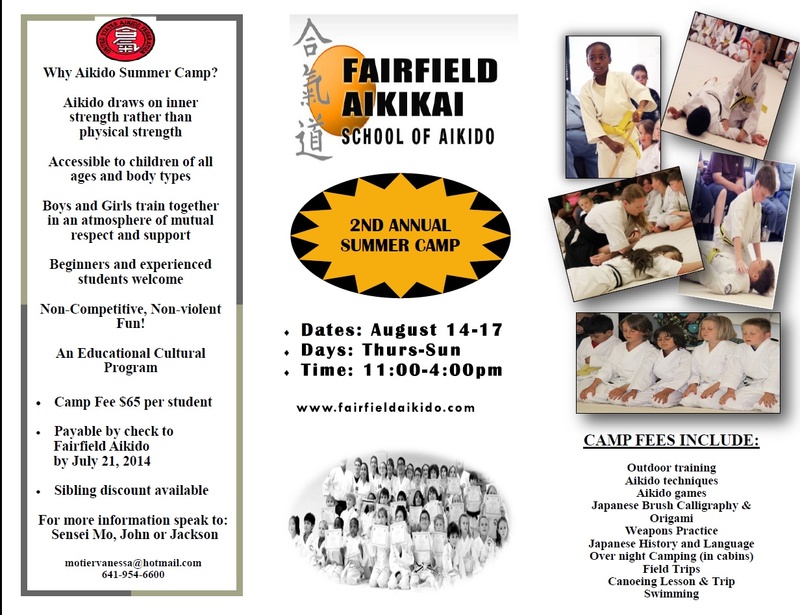 Senseis Bauer and Haskins are thinking ahead to next year and the possibility of expanding to a two-day weekend seminar or perhaps even a full week “Summer Camp” and inviting children and young adults from all over the US to enjoy Aikido in the heartland. In addition to Mr. Purcell attending the event to watch the children work tirelessly towards their goals, Litchfield First Selectman Leo Paul was there to show his support as well. The local flavor of the event was topped off with other contributors: a special thanks to Bantam Market for its support – their donation of snacks and drinks was greatly appreciated by the kids after all their hard work was done; local artist Elizabeth Wolff for providing her great art work for the documents and certificates; and photographer Jacek Dolata for his outstanding pictures which capture the essence of this important project. Click here to the photos of this. On April 9th, 2011 New England Aikikai held promotions for 20 children from their children’s program. 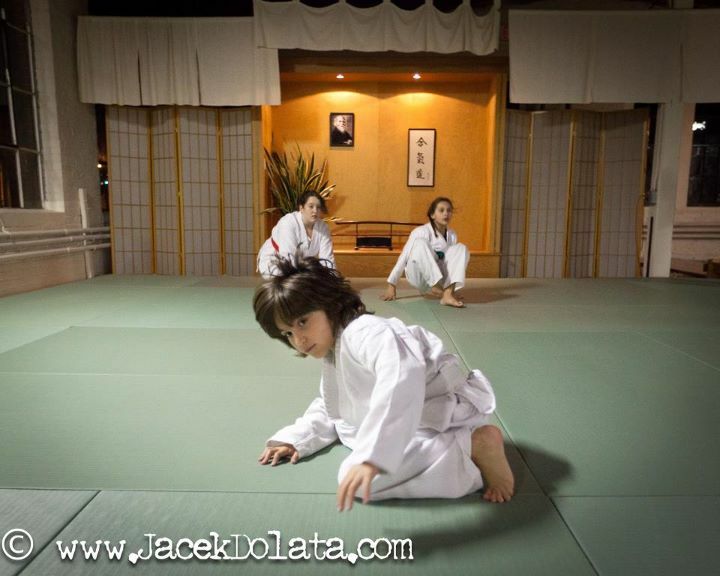 They all did a wonderful job, and the dojo members were on the mat supporting their efforts.